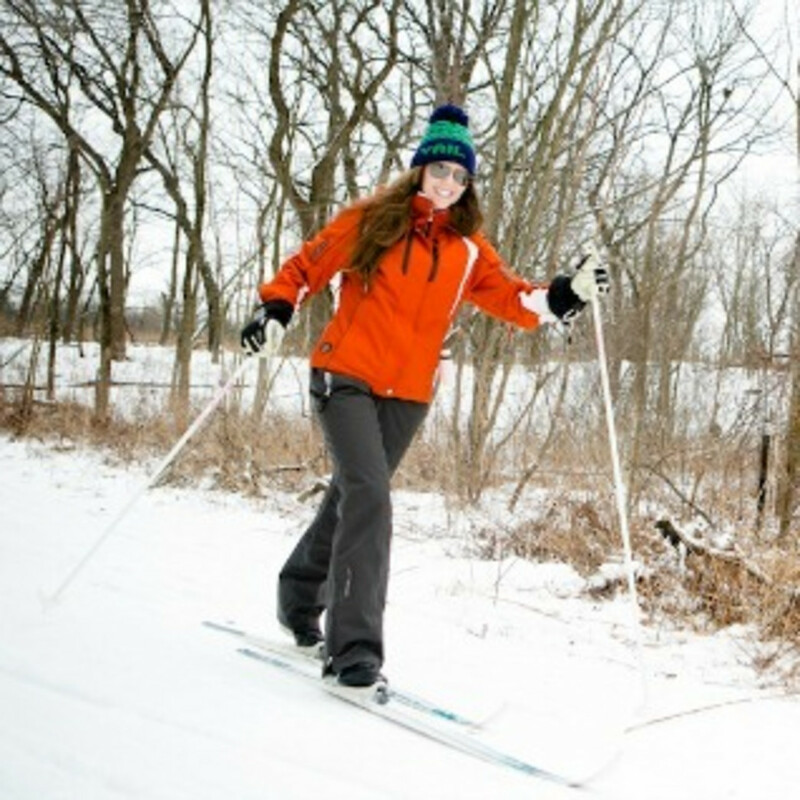 This Cook County Forest Preserve facility is the best option for beginning cross-country skiers in the Chicago area. While you can cross-country ski in just about any forest preserve in Cook County, there’s only one place to learn the sport for the first time—Camp Sagawau, which is located in southwest suburban Lemont and close to the Palos Trail System. For a city that has a long winter and lots of snow—at least some winters—it’s surprising that there aren't more facilities like Camp Sagawau around. Perhaps there have been two many winters with more cold than snow. But when the snow is available, this is a great introduction to cross-country skiing. It’s also one of the few places to learn skate skiing, for those who are interested in trying the aerobic intensive sport. 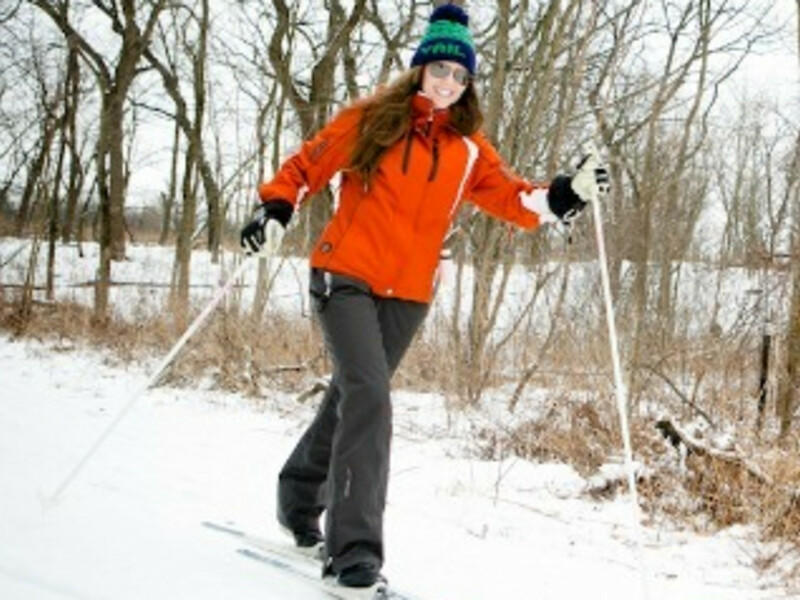 The facility offers rentals, lessons and groomed trails to help anyone get started with cross-country skiing. And for those more experienced skiers, the trail system includes a 1.3K trail that will offer a bit of a challenge. But Camp Sagawau is really about getting started in the sport and having a place where anyone can rent equipment and enjoy some time on skis. The area has just under 3 miles of groomed trails at the facility, which serves as a nature center in the snow-free months. All the trails are one-way, so pay attention and go with the flow. As you’d expect, you’ll find a lot of beginners here. But the nicely groomed trails also attract veterans as well, looking to take advantage of the good conditions. After tackling the trails at Camp Sagawau, more experienced skiers may want to check out Palos Trail System, which is just east of the facility. Anyone who wants to try cross-country skiing. Take the family for a winter adventure. If you’ve seen people skiing out on the Lakefront and wondered what it would be like this is a great spot to give it a try with supervision and rentals before springing for the skis yourself. Parking at Camp Sagawau is easy, and it's located at 12545 West 111th St., Lemont, IL. The trails are open from 9 a.m. to 4 p.m. daily when snow is available. Lessons are offered with a PSIA-certified ski instructor on Saturdays and Sundays at 9:30 a.m. from January to the first weekend in March, weather permitting. There are no reservations and the cost is $20/person. Both classic and skate equipment rentals are available from 9 a.m. to 2 p.m. in both children’s and adult sizes. Individual rentals for boots, skis and poles is $15, $40 for a family. All skiers must obtain a trail pass, which is free, from the lodge before hitting the trails. Central Illinois Is a Bona Fide Hub for Outdoor Recreation. Here's Proof.